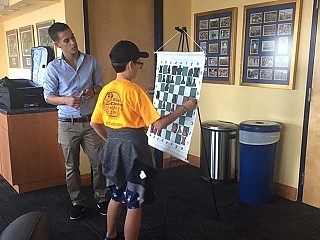 Chess lessons will be taught by professional chess player Robert Ramirez. Robert Ramirez is a National Master that loves to inspire others to play the game. He has been teaching chess for over eight years in both the school system and private organizations. Chess students of all ages love to work with Robert on a daily basis. Robert will be at the FIU and UM campus for the duration of the summer. 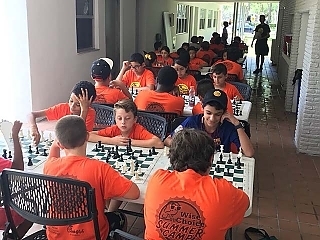 If you want your child to improve in chess, Wise Choice Summer Camp is the place to be this summer. At Wise Choice Summer Camp, we encourage campers to play the best game of wits and strategy ever created, chess. Chess is a game that presents challenges, strategy, tactics, and life-lessons at an early, influential stage in life. Think before you move is critical in the game and crucial in life. A life lesson that everyone will relate to at some point when making tough decisions. Campers will participate in a summer-long mini chess camp. Campers will be guided by a knowledgeable adults who will teach them the basics strategies of the game. 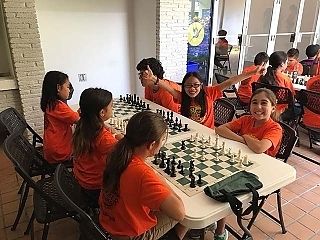 With practice and exposure, chess will develop the campers analytical skills that naturally evolve as they spend time competing with friends. A lot of research has been done that shows test scores improve dramatically for students who regularly engage in the game of chess. Your child may have better academic success and decision making skills because of the game of chess. Make a “Wise Choice” and encourage your child to participate in the chess elective.